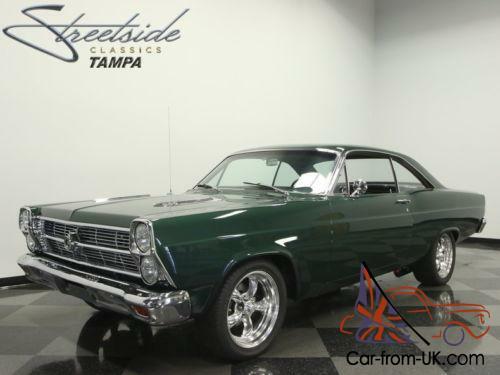 It's not hard to say that this 1966 Ford Fairlane GT tribute is better than an original. With amazing new paint. comfortable A/C interior. a performance-built V8 under the hood. and the upgraded 5-speed manual. it's the muscle machine that leaves you wanting for nothing. You're looking at the face of Ford racing in the '60. 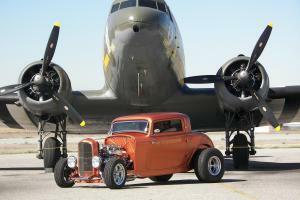 and this coupe carries it perfectly. Highland Green is one of those great Ford performance colors (heck. the Bullitt Mustang was that hue!) And there has been a serious investment in a modern clearcoat and a professional hand applying it. The way this coupe pops in the sunlight really highlights how straight the body panels are and how crisp the creases remain today. Plus. there are details the let you know this is a real muscle machine. like the 17-inch ARE torque thrust wheels and the 390 callouts on the hood (it's a bit of an understatement. but more on that in a bit. ) 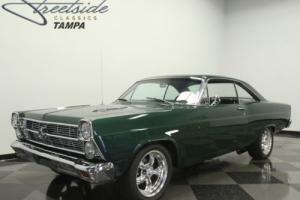 But it also is still a premium Fairlane at heart. So you get the hardtop coupe body with the bright wide re-chromed bumpers and the shining grille as long as the horizon. 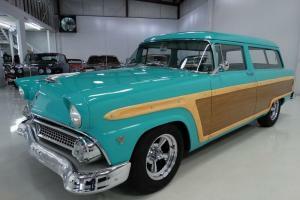 The Fairlane's upscale mission is particularly evident inside with handsome stitching on the freshly restored interior. 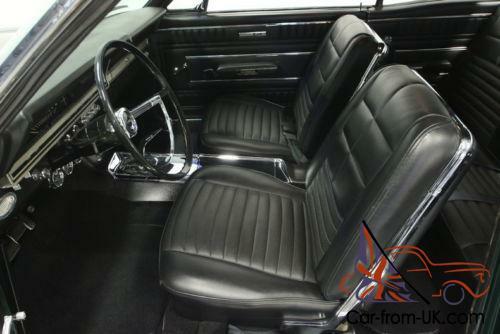 It makes for the perfect classic car atmosphere with the bucket seats. a center console. and lots of brightwork on the instrument panel. There's plenty of room in the back seat. and the spacious trunk will carry enough luggage to go coast-to-coast. The large horizontal speedometer is bright and clear. and to supplement it. a set of auxiliary dials watching voltage. oil pressure. and coolant temperature was fitted underneath. The steering wheel is a beautiful piece of performance art that just begs for a set of vintage driving gloves to be wrapped around its rim. We know that you won't be able to resist rolling down all the windows and showing off the hardtop profile. and so this one also comes with modern R134a air conditioning to keep you cool while looking cool. While the interior and exterior show big money spent in restoration. your favorite investment is going to be under the hood. In fact. you might want to grab your sunglasses before showing this one off. There are so many polished component in this award-worthy engine bay that we dare you to find another piece that could be chromed. And once you look beyond the style. you're going to see the substance of a performance-built V8. This is a 351 bored out to 419 cubic-inches that's also been balanced and blueprinted as well as fortified with Probe Industries crank. rods. and pistons. More go-fast goodies include. Edelbrock heads. heavy duty push rods. Edelbrock Thunder series four-barrel carburetor. Edelbrock hi-rise intake. and Hedman long tube headers that feed a new x-pipe dual exhaust. In fact. there are too many components list here. so call for all the details. Not only does the manual transmission give you full control over this V8 and its rumbling soundtrack. but also since this is upgraded to a Tremec five-speed with Centerforce clutch. you got an extra gear advantage over every other muscle machine. Grip is even superior to the other classics thanks to four-wheel disc brakes and modern ZR-rated tires. 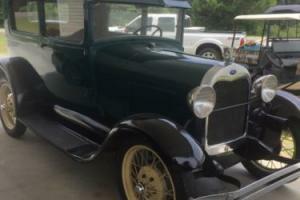 But as much as this seems like a beastly Ford. it also is quite thoughtful. For example. the aluminum radiator with electric fan is not only good for performance. but also it can also keep the motor cool even when you're in traffic with the A/C pumping. 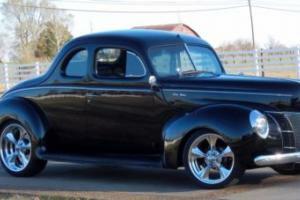 With only about 400 miles on the total build you're looking at a classic that's beautiful. comfortable. and wickedly fast. 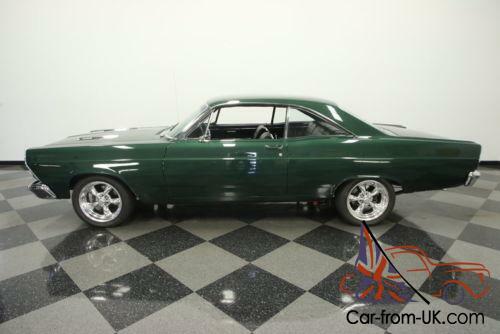 This Fairlane GT tribute is exactly the car you would build if you had the time. and this one is turnkey ready today. So don't miss out. call now!! !